Take your DIY projects to new heights. Whether you're setting up shop at your home or in a separate space, it's a good idea to have all the tools you need before tackling any projects big or small in advance. In addition to the dozens of hand tools, such as screwdrivers, wrenches, hammers, vise grips, socket sets, handsaws and pliers, you should also have certain power tools as part of your usual arsenal. Outside of hand tools, the most important power tool that you should have in your home shop is a power drill. 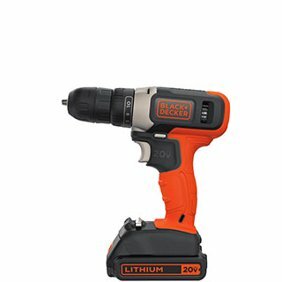 Not only can power drills create holes in woodwork, metal and other materials, but they also work great as a driver screwing and unscrewing screws with a simple push of a button. You have the choice between a corded and cordless drill, although many cordless drills have batteries that work with other cordless power tools. Some even come with two batteries so you can charge one while working with the other one. When purchasing a power drill, you want to make sure that it comes with plenty of drill bits, along with a chuck key to tighten and loosen drill bits. Tools to consider that are related to power drills include hammer drills, right-angle drills and impact drivers. This category of power tool includes all the tools that operate using air compression to deliver force. The most common of these are nail guns or staple guns. These tools make fastening items together, such as wooden boards, simple and quick. A nail gun can hammer nails in many times faster than by using a hammer by hand. There are also power wrenches and ratchets that work using the same principle. These are ideal for people who work on vehicles often at home or for a job. Other types of sanders in this category include orbital buffers (ideal for polishing vehicles), mouse sanders (smaller versions of belt sanders) and rotary sanders.